Earlier today, the Financial Accounting Standards Board released its final standard on accounting for leases. The standard will bring about a sea-change in accounting, particularly for lessees, by moving billions of dollars of leased assets and obligations (potentially as much as $2 trillion in total, according to the WSJ), previously treated as 'off-balance sheet' assets and liabilities, onto lessees balance sheets. Earlier today, the Financial Accounting Standards Board released its final standard on accounting for leases. The standard will bring about a sea-change in accounting, particularly for lessees, by moving billions of dollars of leased assets and obligations (potentially as much as $2 trillion in total, according to the WSJ), previously treated as ‘off-balance sheet’ assets and liabilities, onto lessees balance sheets. On-balance sheet treatment by lessees will be required for lease terms of more than 12 months. Under previous Generally Accepted Accounting Principles, lessees treated leases as either operating or capital leases. Under the new standard, all leases with terms of more than 12 months must be carried on-balance sheet by lessees. The recognition, measurement and presentation of related expenses and cash flows by the lessee will depend on its classification as a finance or operating lease. The new methodology for determining on- vs. off-balance sheet treatment of leases is a significant simplification vs. the old ‘FAS 13’ and other accounting standards, and also addresses concerns raised by the U.S. Securities and Exchange Commission about off-balance-sheet assets. According to the FASB, accounting by lessors will remain largely unchanged from current model, although there are some changes to align with the new lessee accounting, and with FASB’s new revenue recognition standard. all other organizations: for fiscal years beginning after December 15, 2019, and for interim periods within fiscal years beginning after December 15, 2020. [FASB VIDEO]: Why a new leases standard? 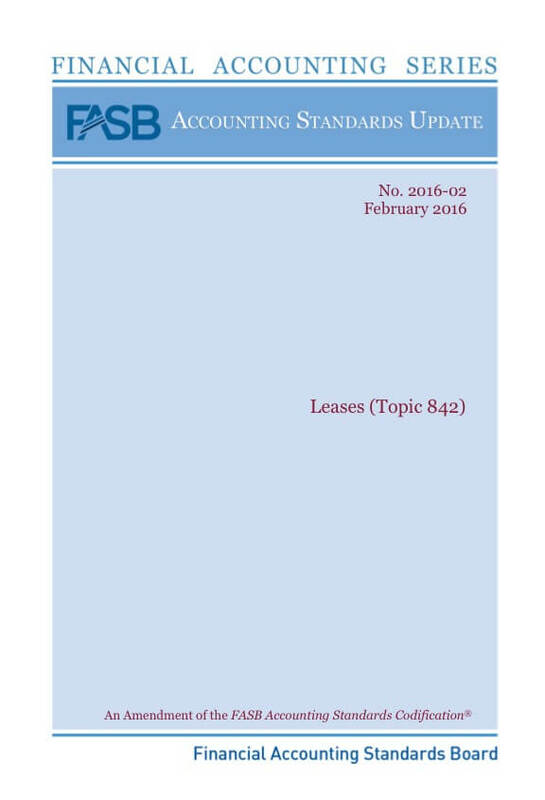 FASB Vice Chair Jim Kroeker and FASB Members Tom Linsmeier and Hal Schroeder discuss the new leases standard. FASB in Focus Webcast, March 29, 2016 , 1:00 – 2:00 pm on the new Leases standard , featuring FASB Board Members Marc Siegel, Daryl Buck, and FASB Assistant Director Matthew Esposito.The webcast will offer 1.0 CPE.